Last week, during our return trip from the beautiful San Juan Mountains of Durango, Colorado to Denver, we passed through a high desert area known as the San Luis Valley. 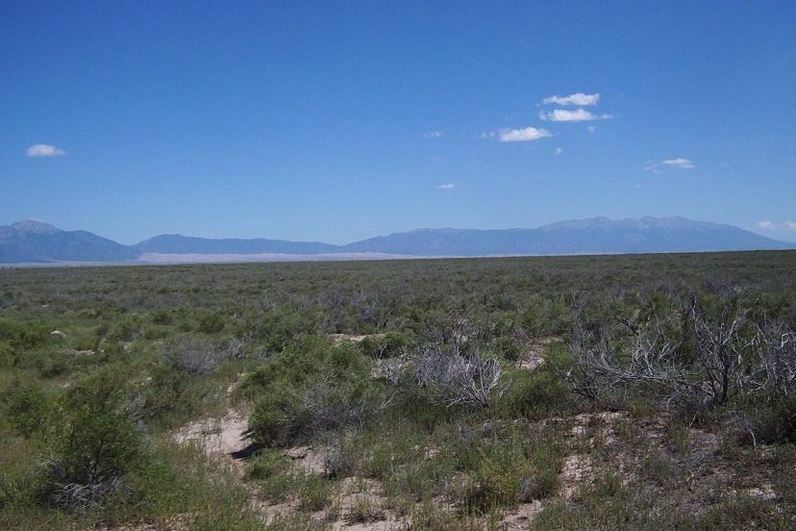 This is an immense, flat expanse of land at 7000 feet with a storied history. Its inhabitants over the years have included such Indian tribes as the Utes, Apache and Pueblo. Occasionally, Comanche and Kiowas passed through, mainly for raiding purposes. Later, Spanish and then Mexicans began to settle the area and eventually American pioneers took root here. 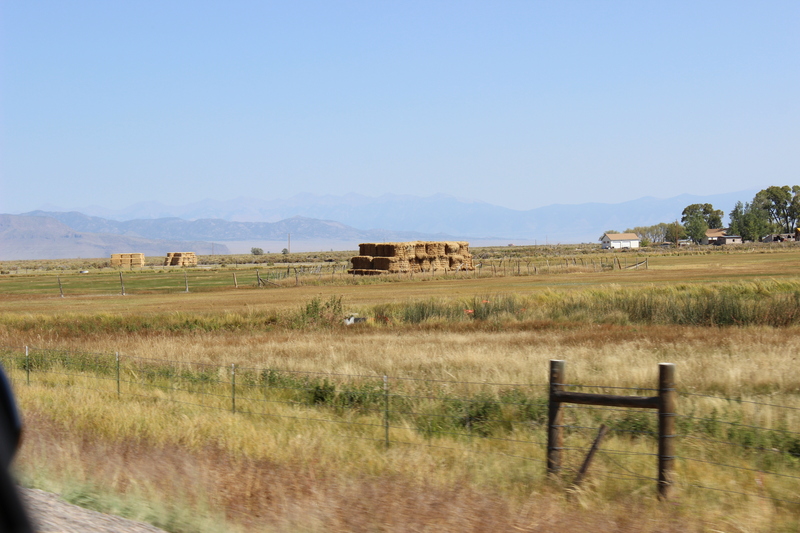 It is considered one of, if not the poorest, rural areas of Colorado. 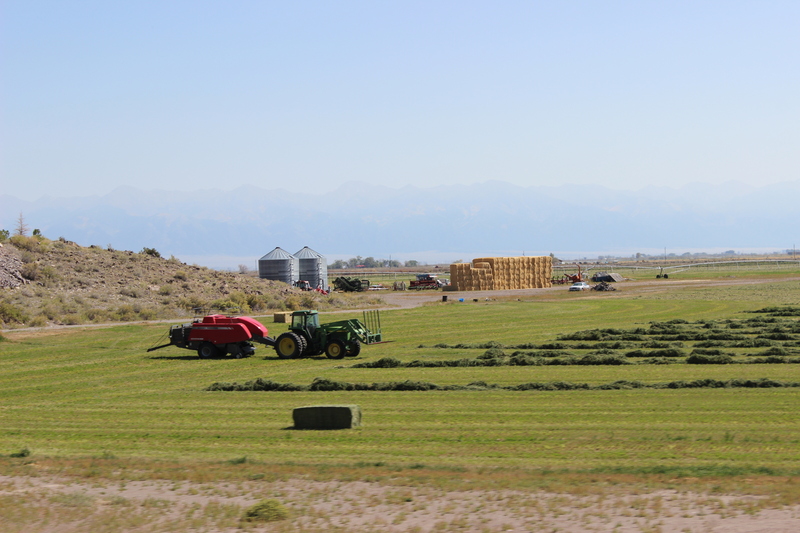 Generally, farms are not big ranches, but more likely to be trailers, adobe or frame houses with some out buildings. Agriculture, in the form of potatoes, lettuce and barley is the main income producer, but tourism is encouraged as a way to increase economic activity. To entice these travelers are the Zapata Ranch, home to a great buffalo herd, Mount Blanca, part of the Sangre de Cristo mountain range and one of the highest peaks in North America at 14,364 feet positioned at the eastern end of the valley, Fort Garland, a renovated old cavalry fort and the Great Sand Dunes, with some dunes towering over 600 feet. But in short, it is a vast desolate area where the word “wealth” is a seldom used part of the lexicon. But there is one surprising thing here. Giant gold bars. As you pass through the valley you will notice on both sides of the road, great stacks of newly harvested hay which, for all the world, resemble big gold bars. The apparent incongruity of this is short-lived, as a closer glance quickly reveals their true nature. But in the eyes of these hardscrabble denizens of the valley, they are gold bars. Or at least they’re worth their weight in gold. Not only is it the lifeblood of their own livestock, but is turned into financial gain by way of sale to other ranchers in the West who need it to feed their stock over the winter. As I traversed this uninviting landscape, my initial indifference turned to wonder as I pondered the plight of these poor dirt farmers and how they willingly lived off this seeming scrap of brush and weeds. Then I remembered. It is this kind of rugged individualism that built our great country. It is also what keeps this country strong. And so the seasons pass in the San Luis Valley. But what irony resides in those neatly stacked bales. 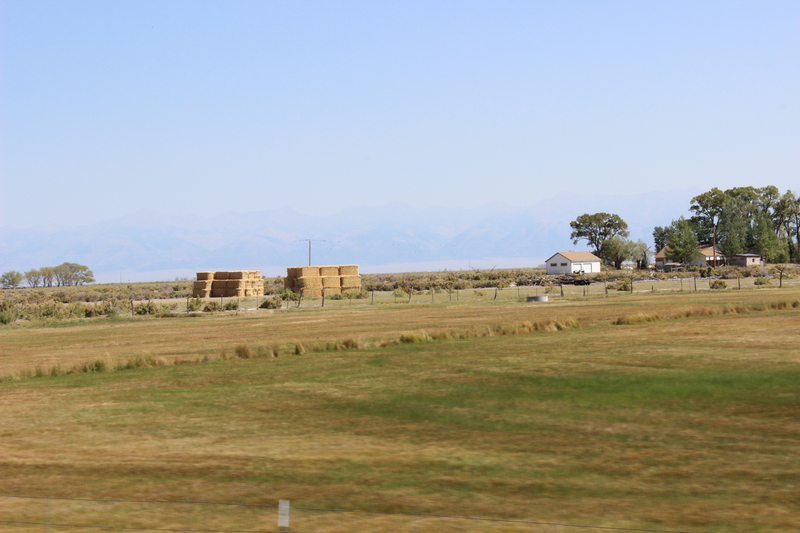 This entry was posted in Misc and tagged Colorado, Hay bales, San Luis Valley, tourism. Bookmark the permalink. Interesting post, Al, and nice pictures of those hay bales. The first picture reminded me a little of west Texas. That is another truly desolate place. Yes, I’ve been in the area you’re talking about. Remarkable in it’s desolation. We have the big round bales here too – excellent places for hawks to perch and watch for mice and gophers! There’s something oddly comforting about viewing a field of hay bales. Why is that, Margie? Our hay bales are round and put into huge black plastic bags. I prefer the romanticism of yours. I guess yours could be called “black gold”, eh? Thanks, Barb. Glad you enjoyed the trip. I just wish you hadn’t been yelling “are we there yet?” all the time. Seriously. Around us the hay bales look like big Shredded Wheat biscuits – always a lovely sight sitting out in the fields. A bale of shredded wheat…..now that’s what I call getting your roughage. Good photos and an interesting post! To live there would be the last straw. Indeed it is what made this country great. Those hearty Mormon settlers went west of here and settled in Utah, a very forbidding place. I’ve done a lot of reading about the Oregon trail, even went to Oregon to learn more about it. Those pioneers were real gamblers,only problem was they were gambling with their lives! Love this, Al. I have traveled that route many times and often find myself thinking of those same things. That valley gets very cold in winter and the wind is unbelievable. I had a feeling this was a much traveled route for you. I don’t think I would have quite so inspired in the wintertime. It is a beautiful sentiment, this country would be nothing without those hardy pioneers, who chose to risk life and limb to eek a living out nothing. This valley would take you back in time, Jodi. You should see me reflect on a bright sunny day! Oops, guess that serious side disappeared again.